Uganda celebrates 50th birthday Jump to media player People across Uganda have been celebrating as the country marks fifty years of independence from Britain. 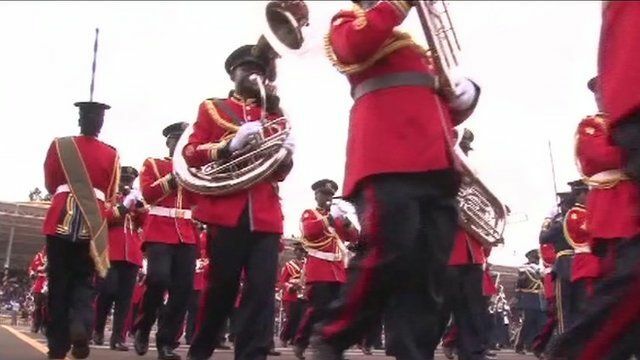 People across Uganda have been celebrating as the country marks fifty years of independence from Britain. Several African heads of state joined Uganda's President Museveni in Kampala for the festivities. However, the opposition boycotted the event, accusing the government of being corrupt and repressive, as Catherine Byaruhanga reports.